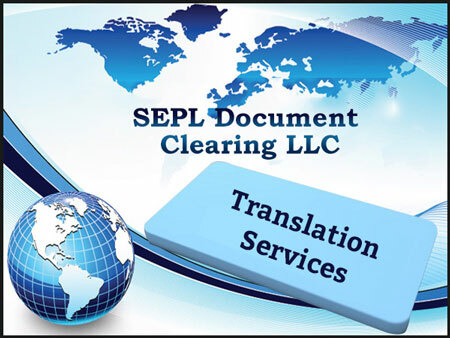 SEPL Document Clearing LLC is a premium and professional translation company in Dubai. We are proud to introduce ourselves as one of the translation companies in Dubai providing all types of translations with 100% guarantee of accurate and perfect translation. SEPL Translation group is the largest team of highly-specialized and high-quality professional human translators, who ensure production of premium and proficient translation in accordance with their knowledge, expertise and skills. We specialize in providing business translation in Dubai in variety of fields including legal, technical, websites, Commercial, applications, and software, marketing, etc. The best choice of the market leaders. Providing the translation of all foreign languages. Available to translate any number of words.